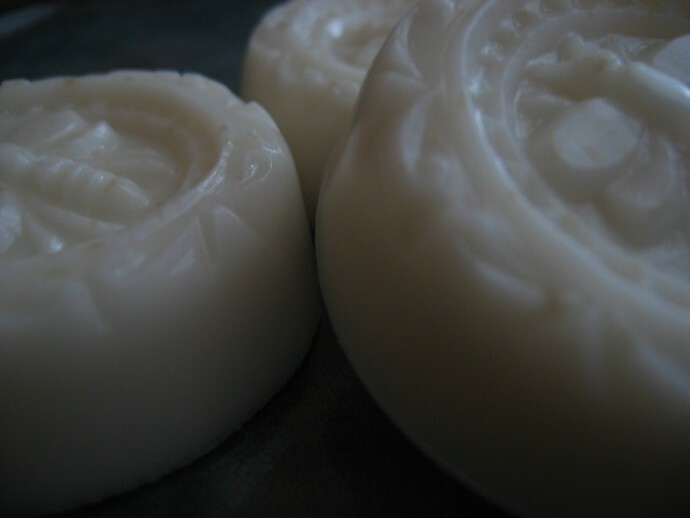 These creamy ivory soaps are a marriage of bentonite clay and tea tree oil, perfect for oily skin and blemishes. It has been formulated specifically for oily, troubled skin and has received rave reviews from those who have tried it. The soft little beige freckles are bentonite clay, which has excellent oil absorbing properties. 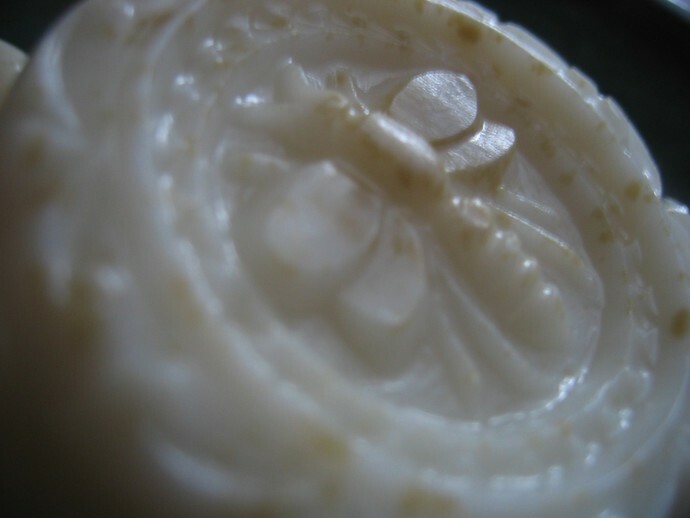 It is also thought to remove acne-causing toxins from the skin and revitalize tired skin. Tea tree oil is known to be an effective antiseptic and promotes tissue healing, perfect for preventing blemishes and reduce existing ones. 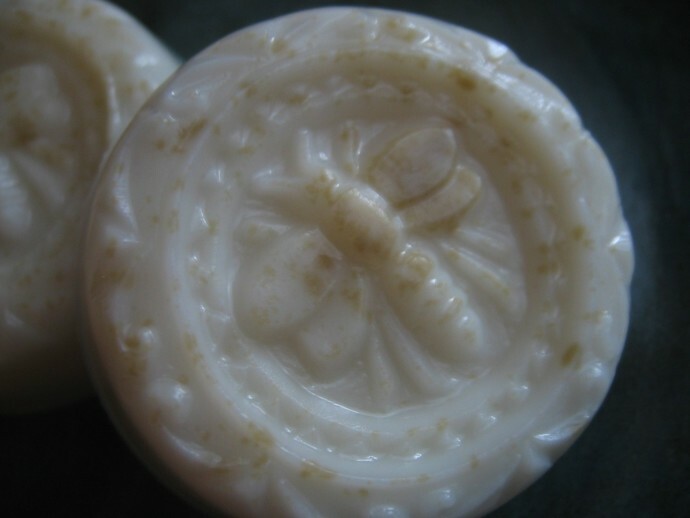 These charming bee complexion soaps are scented lightly with mint. Avoid the eye area and while using this soap. I have combination skin and this soap worked beautifully on my oily T-zone. It is definitely oil-absorbing, but did not leave my skin feeling tight, even after leaving the lather on for nearly a minute as a test. The lather is great, the mint fragrance is light and refreshing. Your skin will feel fresh, smooth and clean after using this pretty complexion bar, but not greasy or too dry. "OMG!!! Not only did I receive these items at lightning speed, but they work so phenomenally I noticed an improvement in my skin after only two uses!! So excited :D"
~I absolutely LOVE this soap! My face kept breaking out from being near oily hair products and my glasses, and this soap has cleared my face up in no time! :) Thanks, Diane! ~Since I just received this product, I have only used it twice; but I love it! 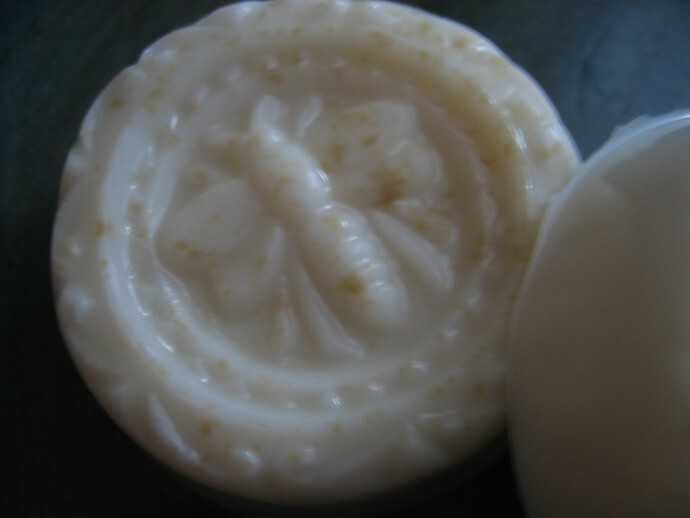 It feels great on my skin--no dryness, just soft and smooth. It cleans very well without leaving any traces of makeup--hard to find in a 'beauty bar'. I can't wait to see the long-term effects. Great product! ~This product is AMAZING. My skin felt so clean and soft after I used it, and this morning it felt moisturized and revived. I will never buy department store cleanser again. The shipping was super fast, and I love the little samples! Thank you so much Diane! ~This soap is perfect for my acne prone and skin, especially with pregnancy making it act up even more. Feels so nice. Does not make my skin tight. Nice lather and pleasant smell. Cute design too. Thank you SO much! ~This is awesome. Thanks for the super fast shipping. Used it this morning and it had such nice lather and scent and left a lovely tingly feeling for a minute. The bar is so beautiful. ~Using this soap with a crocheted cotton facial scrubbie has helped me trim down my routine. I no longer need a facial scrub or an acne medication. Great all-in-one product! 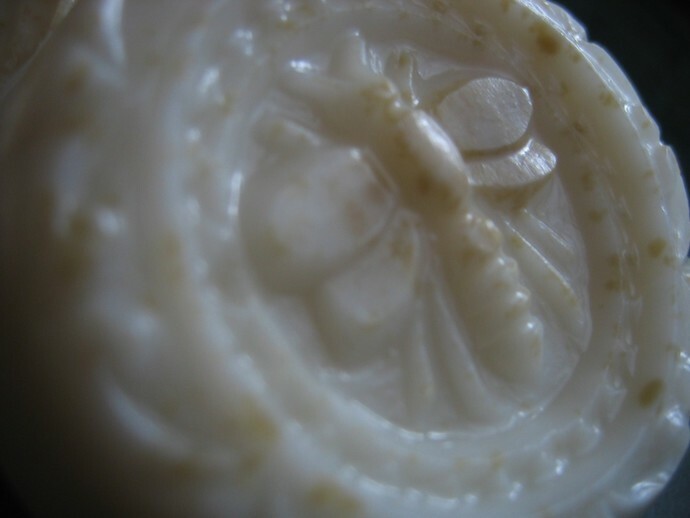 ~My second order of this wonderful soap. Had to come back for more. Thanks for the quick shipping. You are the best! The weight of each single bar is approximately 1.75 oz. Together, these two little cuties weigh 3.5 oz. I list all items singularly but I have more in stock, so if you would like to order more than one bar, please let me know and I can set up a private listing for you with the quantity that you desire. Thank you! Your bars will come to you beautifully packaged in a lovely, shimmery organza bag, perfect for gift-giving. We have tucked a little card inside of the bag with the name of the soap, a brief description and a list of the ingredients.